The DRA proposes a series of three missions to distinct locations on Mars over a period of a decade; in other words, a similar program to Apollo. However, if settlement of Mars is the primary goal, rather than purely exploration, scientific research or political oneupmanship, then an Apollo-style program makes less sense. 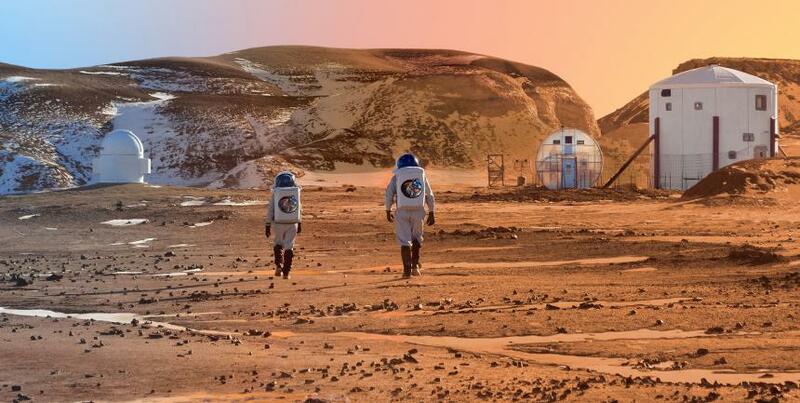 If we’re going to Mars to stay, a superior strategy is to build up infrastructure in one location and establish a permanent human presence on Mars as quickly as possible. This is referred to as a “base first” strategy. Once a Mars base is established it will be easier to conduct whatever further science and exploration is desired, as expeditions can be launched from the base rather than from Earth. This will be more efficient, cheaper and much more convenient. For this reason, the program outlined here describes a series of missions to one specific location on Mars. The intention is to progressively build up infrastructure and technological capability at this location, establishing a base that can support multiple missions and be developed to a point where it can support a human presence more-or-less indefinitely. 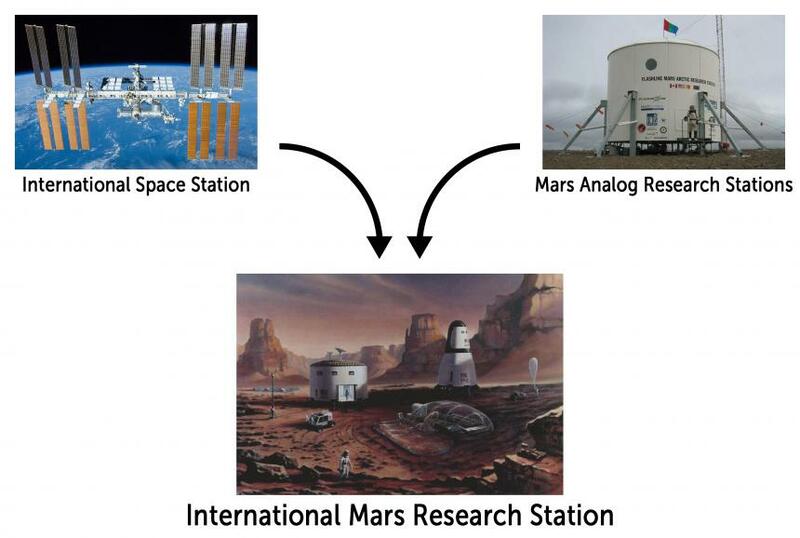 This is the International Mars Research Station (IMRS). 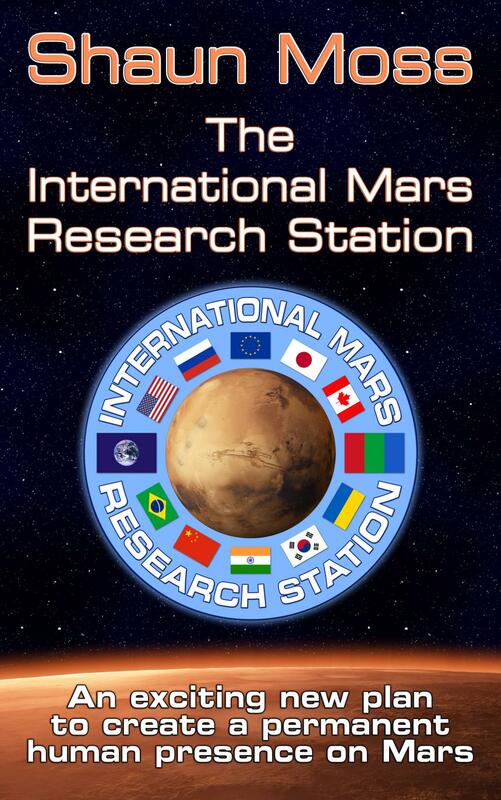 As the name suggests, the IMRS is largely inspired by, and draws on the legacy of, the ISS (International Space Station) and the MARS (Mars Analogue Research Station) programs. It also builds on the experience and knowledge garnered through visionary and pioneering space programs such as Apollo, SkyLab, Mir and others. The ISS is a triumph of space engineering and international collaboration, and is one of the greatest success stories in the history of space development. A total of 75 missions have been conducted to the ISS, and it has been permanently inhabited for 14 years. It is also the most expensive artefact ever constructed, with an estimated total cost of US$150 billion. This high cost is one of the reasons why an international partnership has been helpful, as it spreads the cost across multiple countries. The ISS has also been profoundly important for encouraging and developing peaceful international cooperation in space. This is important partly because it involves cutting-edge technologies that may have military applications; therefore, the collaborative relationships between ISS partners indicates a high level of trust. The ISS continues to benefit people all over the world, not only the participating nations. It’s a beacon of inspiration and achievement at the forefront of human expansion into space. Because the IMRS is designed to be international, it makes sense to continue building on the collaboration framework already developed for the ISS. FMARS (Flashline Mars Arctic Research Station), located at Haughton Crater on Devon Island in the Canadian arctic. MDRS (Mars Desert Research Station), located near Hanksville in Utah, USA. 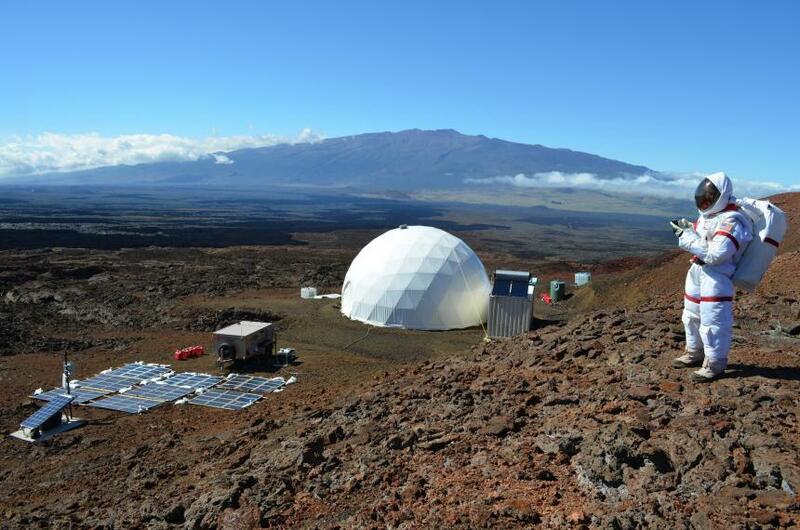 NASA have also built a MARS on the slopes of the Mauna Loa volcano in Hawaii called HI-SEAS (Hawaii Space Exploration Analog and Simulation). Another, MARS-Oz (Australian Mars Analogue Research Station) is planned for the Lake Frome Plains east of Arkaroola in South Australia, possibly to be constructed within the next 1-2 years. The MARS program has been enormously successful. To date, 14 simulated missions have been operated at FMARS and more than 150 at MDRS. Mission durations range from weeks to months. Although FMARS was constructed first, fewer missions have been conducted there due to its being located in a much more extreme and less accessible environment. It only operates during the summer, whereas MDRS is operated year-round. The Mars Society has begun preparation for an ambitious 365-day simulated mission to FMARS, called MA365 (Mars Arctic 365). A refurbishment mission has already been completed, and the crew is currently being selected. The full 365-day simulation will run from 2015-2016. The Mars Society’s and NASA’s Mars analogue research programs have enabled them, as well as other space agencies and groups, universities and independent researchers, to gain deep insight into almost every aspect of the surface element of HMMs. This includes EVA; geological and biological research; marssuit and airlock design; habitat layout and operation; recycling and resource management; psychology and human factors; art and education; construction and building materials; food preparation and production; command, control and communications; surface mobility and robotics; navigation; scheduling and rostering; and much more. Crews who have been involved in simulations at FMARS and MDRS invariably speak highly of the experience. One of the most interesting features is the reuse of a habitat that contains the imprints of previous crews - signatures and inspirational quotes, photographs, furniture, musical instruments, cooking equipment, and the countless tiny tweaks and refinements to improve the interior environment and make it progressively safer and more agreeable as a living space. This is one of the reasons for choosing to establish an outpost at a single location on Mars instead of exploring discrete locations. The mission architecture is largely assembled from commercially-available (COTS) hardware components, which are considerably cheaper to purchase than it would be to develop custom-designed components. One of the major investments to enable humans-to-Mars missions is an SHLLV capable of delivering at least 20-30 tonne payloads to the surface of Mars. However, with the Space Launch System, Mars Colonial Transport, and Long March 9 all currently in development, a suitable vehicle should be available, and thus the cost of developing one does not need necessarily to be incorporated into the Mars program cost. All missions are to the same location, therefore major components such as the MTV (Mars Transfer Vehicle), SHAB (Surface HABitat), power systems, greenhouses, surface vehicles and so forth can be reused by multiple crews. The architecture is specifically organised for component reuse across multiple missions. As an international mission, some of the engineering, fabrication and other work can be done by countries where costs of labour, rent and other overheads are lower. The goal should not be to do the cheapest possible HMM, as overly aggressive cost-cutting measures would compromise safety and results. The goal should be to do the smartest one, with the appropriate balance of cost, safety, and scientific, educational, industrial and economic ROI (Return On Investment). However, whatever else the architecture may be, it must be affordable. As was observed with the 90-Day Study, with its bottom line of $450 billion, an excessively high price tag simply makes the program nonviable. By controlling costs while leveraging the latest technological and business innovations, combined with intelligent management, logistics and financing, the goal of sending humans to Mars is definitely within reach. Although further analysis is still necessary, with this architecture and an internationally collaborative approach it should be possible to implement a full program, including robotic precursor missions and three crewed surface missions, for well under $100 billion, and perhaps even less than half that amount. In 1990, the estimated cost of the Space Exploration Initiative, which included a permanent base on the Moon and human missions to Mars, was calculated at $400-$500 billion over 20-30 years (the 90-Day Study). The International Space Station had cost an estimated $150 billion by 2010. NASA estimated the cost of “Mars Semi-Direct”, the architecture developed for the original Design Reference Mission, at $55 billion over 10 years. Dr Robert Zubrin estimated that Mars Direct would cost $30-$50 billion over 20 years for five missions, if implemented by NASA; but only $5 billion if implemented by private enterprise. Mars One estimate that the cost of the getting the first crew of four people to Mars will be $6 billion, including precursor missions. For the purpose of this exercise, the cost of the first three missions, including precursor missions and hardware development, is estimated at $36 billion. Although this is still very much a guess, it’s based on NASA’s estimate for the cost of the DRA, revised downwards to accommodate the cost reduction ideas incorporated into the plan. This figure amounts to an average cost per mission of $12 billion, or $2 billion per crew slot. This is an average of $100 million per crew slot, per year, for two decades (~2020-40), which should be affordable by the top space-faring nations. Note, however, that the bulk of this expenditure will be required during the initial 20-year period of preparation and development, and securing financial commitment from all partners for this will be a challenge. The intention is to run more than three missions. Consider that 75 missions have been run to the ISS so far. Because $150 billion was spent on constructing the space station, naturally the partners have sought to get their money’s worth. The same logic applies to the IMRS, and the longer-term goal would be to invest on the order of $100 billion and run at least 10 missions. This will take about 33 years (2020-2053), during which time both architecture and base will evolve as a result of new discoveries and technological innovation. The reason for making an estimate for first three missions, rather than 10, is for comparison with the DRA, of which Blue Dragon is an evolution. To reduce the financial burden on any one nation. To open up Mars for all humanity rather than only one nation, race or ideology. To improve international relations by further developing trust, communication and cooperation between the world’s major powers, thereby helping to bring about world peace. To take advantage of the people, facilities, hardware, technology, data, knowledge and other resources available in many countries instead of just one. To gain greater leverage from the research, expertise, designs and philosophies of the most talented scientists, engineers, managers and others from all over Earth, thus advancing space technology further and more quickly, reducing costs, benefiting Earth and all humanity, and increasing the overall value of the project’s outcomes. The IMRS plan is made yet more viable by distributing the cost across a consortium of multiple space agencies in a similar fashion to the ISS. Because the economies of the participating nations are quite different, and because $100 million per year would represent a fairly significant fraction of some space agency budgets, it’s possible that investment could be made partially or wholly “in kind” rather than “in cash”. For example, a space agency may contribute an equivalent value in engineering, launch services, hardware or facilities. It is hoped and expected that future missions will be progressively cheaper, and many other nations, perhaps even those that don’t yet have a HSF (Human Space Flight) program, will eventually also be able to send astronauts to Mars. The ISS has been a huge success in terms of scientific research as well as international collaboration in outer space. The ISS partnership of five leading space agencies provides an excellent basis for expansion into a larger partnership for development of the IMRS. These countries are represented by flags in the upper half of the IMRS emblem (see The IMRS Emblem). These countries are represented by flags in the lower half of the IMRS emblem. 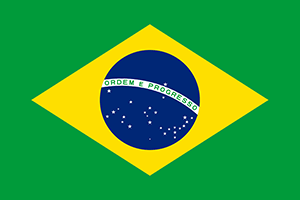 Brazil is a bilateral partner with NASA in the ISS, developing flight equipment and payloads in return for access to ISS facilities and flight opportunities for Brazilian astronauts. With this established relationship with the ISS, they should be included in the IMRS program. 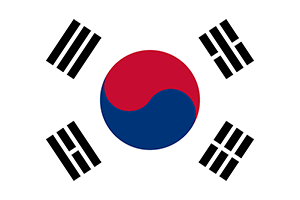 The space agencies of South Korea and India expressed their desire to join the ISS in 2009, and talks commenced in 2010. Although this goal has not yet been realised, these are nonetheless leading agencies and should be included in the IMRS partnership. Both nations have their own astronauts and rockets, and India recently became the first Asian nation to reach Mars orbit. 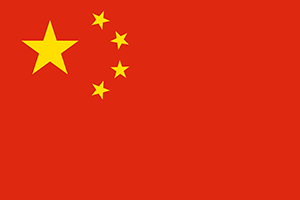 China operate their own independent space station (Tiangong), and, along with the US and Russia, are one of only three nations with human spaceflight and lunar soft-landing capability. They are currently building one of the largest rockets ever conceived — the Long March 9 — and have plans for human missions to the Moon and Mars. They are one of the world’s leading space agencies and should definitely be included in the IMRS. When interviewed in 2010, then ESA Director-General Jean-Jacques Dordain said his agency was ready to propose to NASA and the other space station partners that China, India and South Korea be invited to join the station partnership, saying: “These three nations have been active in the multilateral discussion of future space exploration architecture. It seems that these three would be a good place to start widening the partnership.” (Selding 2010). Ukraine have their own astronauts and launch vehicles, and plans for lunar exploration and development of advanced space technology. SSAU are one of the top 10 government space agencies in terms of funding (excluding European agencies other than ESA), and are currently engaged in a joint venture with AEB to develop new launch facilities in Brazil. They are also a member of ISECG (International Space Exploration Coordinating Group — see below). It will be highly advantageous to include Ukraine in the IMRS partnership. 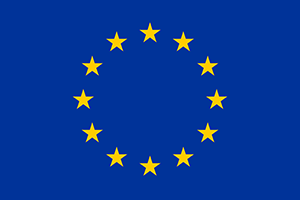 Assuming that the space agencies of Italy, France, Germany and the UK will be represented by ESA in the IMRS partnership (as they are in the ISS), there’s almost a total overlap between this list and the 10 space agencies above, suggesting that the IMRS could potentially be developed in conjunction with ISECG. At this time in history it may be difficult to imagine some of the IMRS nations collaborating in space; or, for that matter, anything else. However, in addition to the myriad other benefits of space exploration, collaboration in space has proven an effective peacemaker. The US and USSR competed in the space arena for 20 years before commencing a long period of cooperation, to the point where, for a period, the US relied on Russian spacecraft to ferry its astronauts to and from the ISS. In fact, the two nations were cooperating in space long before the end of the Cold War in 1991. Three decades earlier, in 1961, John F Kennedy said “Let both sides seek to invoke the wonders of science instead of its terrors. Together let us explore the stars.” Talks began about US-Soviet collaboration in space, and in 1975, the Apollo-Soyuz Test Program, which developed compatible docking systems, signified the beginning of a long period of collaboration between the two superpowers. Perhaps because activities in space take place above the surface of the Earth, they also seems to be above its petty squabbles. Space is inspiring and transcendent, and virtually all who work in the field have a tacit understanding that expansion into space represents a solution to many human problems. Astronauts, scientists and others involved in space exploration seem to be aware, at least at some level, that they are working to create a future in which international conflict has ended and humanity expands into the cosmos as a united family. Although there may be geopolitical tensions currently present on Earth, by setting the intention to create a truly international Mars program and establishing a framework for collaboration on Mars settlement for the benefit of all humanity, those tensions can be eased and ultimately eliminated. The result will be a foundation for greater global unity and a positive, abundant human future. I found myself looking down at the enormous International Space Station, one hundred feet below me, against the backdrop of our indescribably beautiful planet 240 miles below. The sheer beauty of the scene took my breath away — but even more compelling than the beauty was the realization of the tremendous human achievement that the International Space Station represents. It is not only an amazing technical accomplishment — probably the most complex structure ever constructed — but also one of the most amazing examples of international cooperation. As I hung there, looking down at the station against Earth, I marveled that fifteen nations, some that have not always been the best of friends, had found a way to set aside their differences and achieve something amazing in space. I wondered what the world would be like, and how many fewer problems we would all face, if we could figure out how to have the same level of cooperation and collaboration in our interactions on Earth’s surface. The purpose of the IMRS is therefore to achieve two great things at once; open up a new world for human civilisation while simultaneously bringing Earth to a condition of improved peace, abundance and environmental health. A key factor in achieving this is letting go of the “us and them” paradigm and realising that we’re one global family, and that national borders are illusory and obsolete. This truth becomes abundantly clear when viewing Earth from space, and is known as the “overview effect”. Assertions are often made that various problems should be addressed on Earth before settlement of space. The truth is that expansion into space will greatly assist in solving virtually all of Earth’s major problems, through inspiration, knowledge, understanding, cooperation, technological evolution, and access to unlimited resources. Human expansion into space will help to bring the people of the world together, and should therefore be done together. At a cost of $100 million per crew slot per year for two decades, the total investment by “Level A” partners, with one astronaut on each mission, would therefore be approximately $6 billion each. The total investment by “Level B” partners would be about $4 billion each, and the total investment by “Level C” partners would be about $2 billion each. All international partners will be represented by at least one astronaut. This will give each partner a greater stake in the program; a greater return on investment in terms of national pride, recognition, and enthusiasm for STEM (Science, Technology, Engineering and Mathematics) education; and first-hand experience of a human interplanetary mission. In order to preserve the truly international nature of each crew, and to permit a larger international partnership with each participating space agency represented by at least one astronaut, each could be restricted to a maximum of one astronaut per mission. Below is a potential crew slot schedule for the first three missions. Alfa Mission favours those nations who currently operate space stations, namely the five ISS partners plus China, as these countries have the most experience with HSF. There are a number of other countries with space agencies that also have astronauts, including Bulgaria, Colombia, Indonesia, Israel, Malaysia, Mexico, Turkey and Vietnam. The goal should be to ultimately make flight opportunities to Mars available to all these nations, and indeed any others that commence astronaut programs in the meantime. With a minimum of 10 missions to Mars, slots could be found for astronauts from all these countries, which would generate a massive benefit for them, and for the world. The 10 smaller flags represent the proposed partnership comprised of the world’s top 10 space-faring nations (considering Europe as a single nation for the purpose of this exercise). This includes the five nations who created the ISS (USA, Russia, Europe, Japan and Canada), which appear at the top, plus five new partners (Brazil, China, India, South Korea and Ukraine), shown at the bottom. All of these nations are capable of participating in the IMRS and sending their own astronauts to Mars. 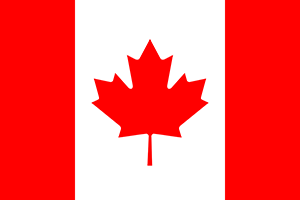 The large flag at the right of the emblem is the red-green-blue tricolour, which is the generally-accepted flag of Mars. This flag flies atop FMARS. It was designed by Pascal Lee in 1999 and, like the Mars trilogy by Kim Stanley Robinson (Red Mars, Green Mars, Blue Mars), is inspired by the colours of a changing Mars during human habitation. Mars is currently red, due to the ubiquitous presence of iron oxide across its surface. As terraforming proceeds, plants will grow on Mars, causing it to become green. And, eventually, when liquid water flows on the surface to form lakes and seas, and the atmosphere has become oxygenated, it will be blue like Earth. The presence of the Mars flag in the emblem is intended to symbolise that the goal is not merely to visit Mars — i.e. this is not just a “flags and footprints” exercise — but to establish a new branch of human civilisation. This symbolism imbues the project with a much grander purpose that will help to inspire participants and supporters. 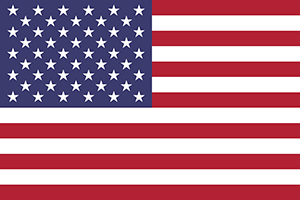 The large navy blue flag at the left of the emblem is the generally-accepted flag of Earth. It features the Blue Marble, a famous photograph of Earth taken by the crew of Apollo 17. Its role in the emblem is to symbolise that Mars is being explored, not by a single nation or even a group of nations, but as “the people of Earth”, unified, for the benefit of all humanity, and for Earth herself.